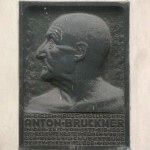 Anton Bruckner (1824-1896) was born in Upper Austria in the town of Ansfelden, near Linz. 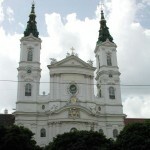 He was the organist at the monastery of St. Florian, and moved to Vienna in 1868. 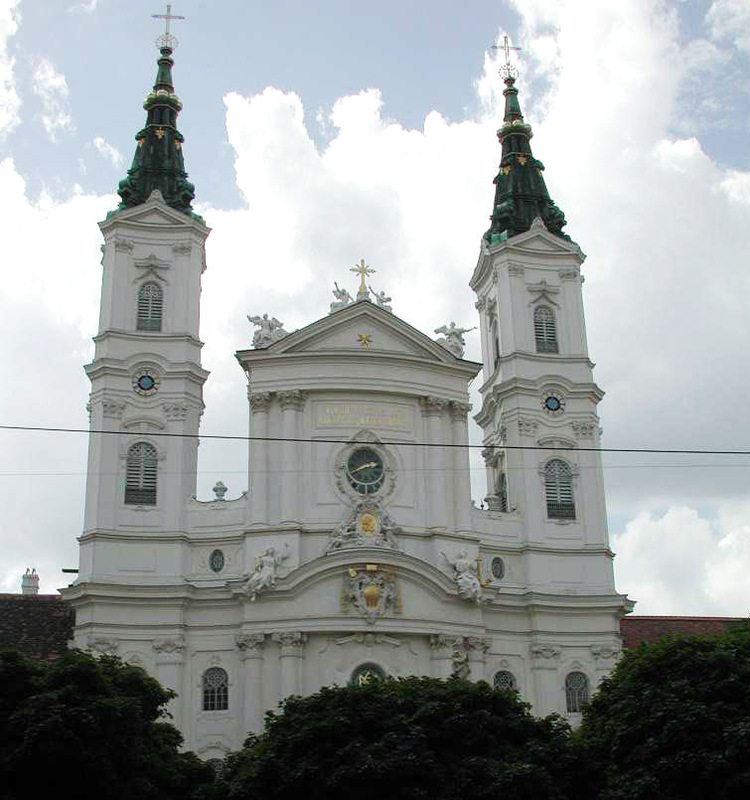 There are several historical sites to visit in Vienna, and an important site in St. Florian. Schottenring 5. 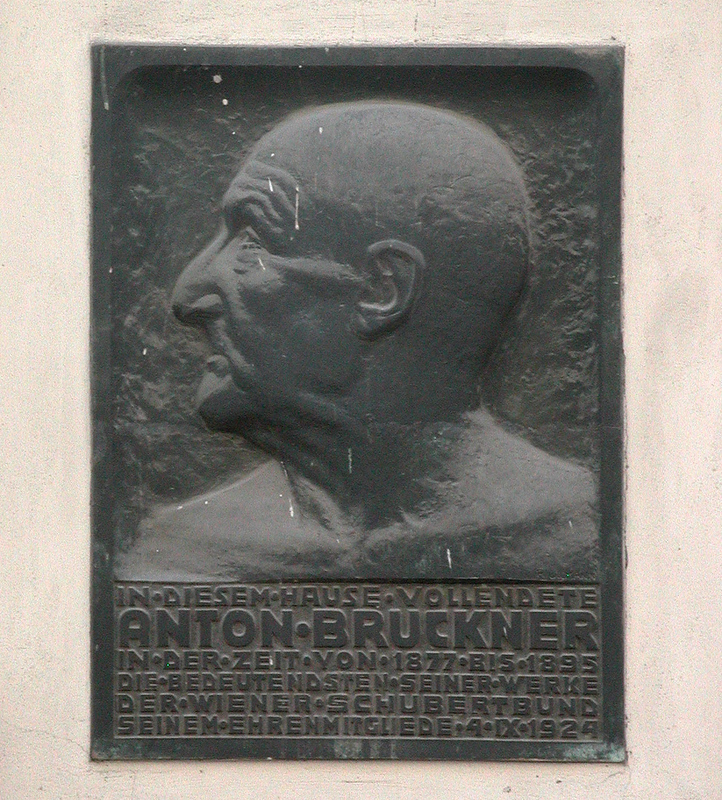 Bruckner lived on the Ringstrasse, close to the Votive Church, from 1877 to 1895. A memorial plaque marks the building. Stadtpark. 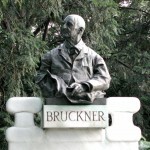 Among the statues of Johann Strauss, Schubert, and Lehar is a monument to Bruckner. Jodok-Fink Platz. 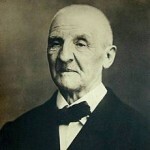 In 1861 in the Church of the Piarists, Bruckner an important examination. 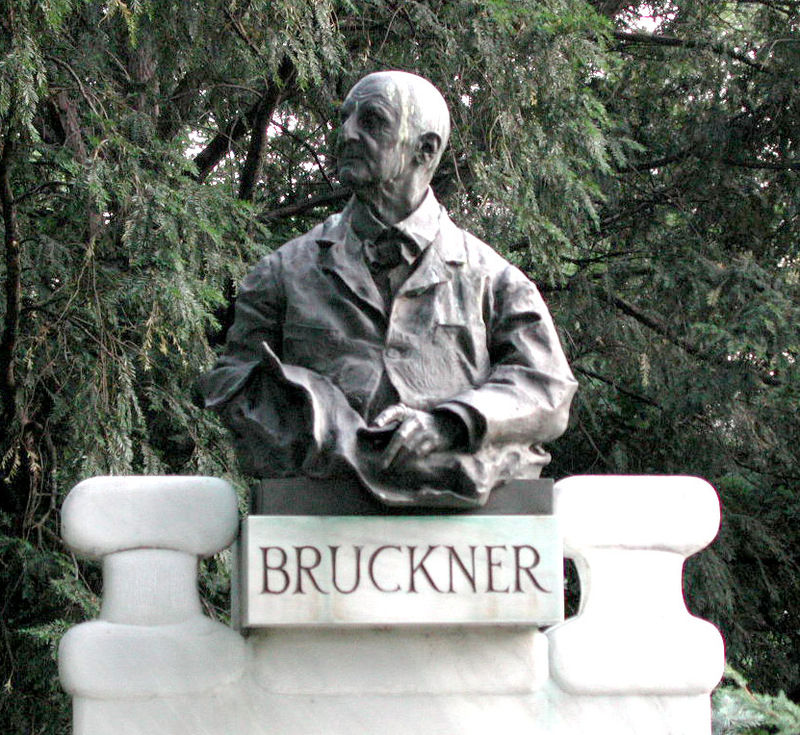 One of the examiners, Joseph Herbeck, was so impressed that he said “Bruckner should have examined us”. 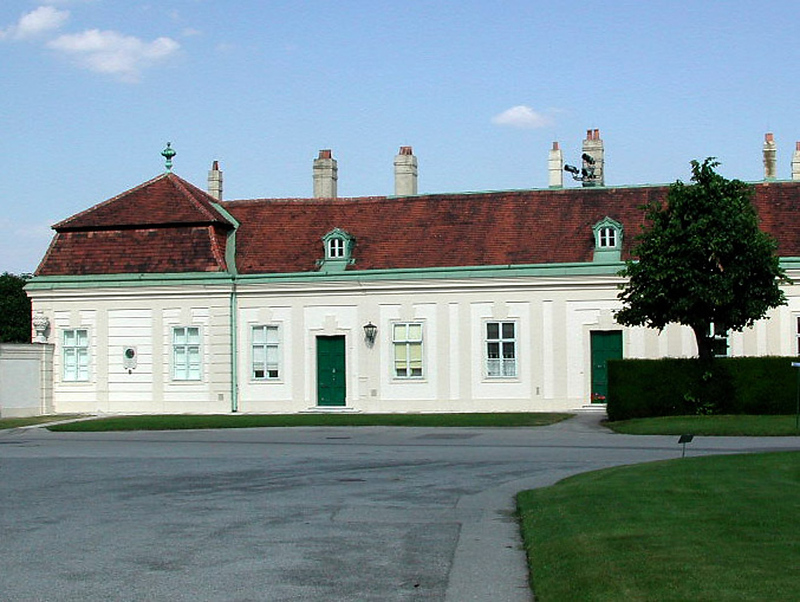 Upper Belvedere. 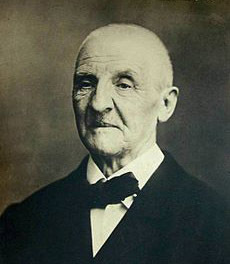 Bruckner died in an apartment in the caretaker’s wing of the Upper Belvedere on October 11, 1896. 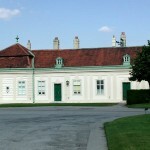 The building is just behind the palace that how houses an art museum. 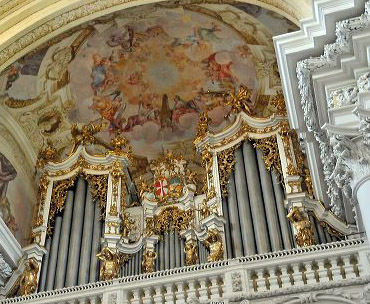 Bruckner played this great organ here for a decade. 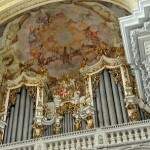 It was one of his final wishes to be buried beneath this magnificent instrument. and that is where his final resting place is.